The GNAT-750 is a long-endurance tactical surveillance and support system that has been flying since 1989. 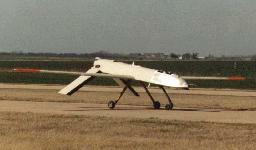 Predator is a growth version of the GNAT-750. The GNAT System offers the combination of long endurance, large payload capacity, ease of use and low maintenance while providing a very low cost per flight hour. The state-of-the-art GNAT-750 can fly up to 48 hours without landing for fuel. It has a service ceiling of 25,000 feet and can climb at a rate of 1,100 feet per minute. It has a wing span of a little over 35 feet, the fuselage is 16 feet long, and its gross take-off weight, including a 330 pound payload and gas, is 1,140 pounds. The General Atomic GNAT-750 may be one of the most thoroughly field tested unmanned aerial vehicles in today�s inventory. Several GNAT-750 UAVs were deployed to Bosnia, Croatia, and Albania to monitor air bases, entrenchments, supply caches and troop movements. Success in the area was tempered by the need to relay data from the UAV through a manned aircraft--the RG-8 Schweitzer--that could only stay on station for about two hours at a time. Although the RG-8 has an 8 hour flight time, 6 of each 8 hours was spent getting to and from the relay orbit sight. While the GNAT-750 has a 24-30 hour endurance, the manned relay aircraft greatly limits the overall effectiveness of the system. The CIA-operated Gnat 750-45 Lofty View reportedly can carry a 450-500 pound payload consisting of a synthetic aperture radar with one foot resolution, three EO or IR sensors in a chin turret and a wideband satellite data-link antenna. The SAR, with its 150 degrees of azimuth and 40 degrees of elevation, can cover an 8,000-foot swath at 25,000-foot altitude. The combination of long loiter times, a multiple sensor array, and a data-link capability allow it to transmit real-time data in the form of moving video. 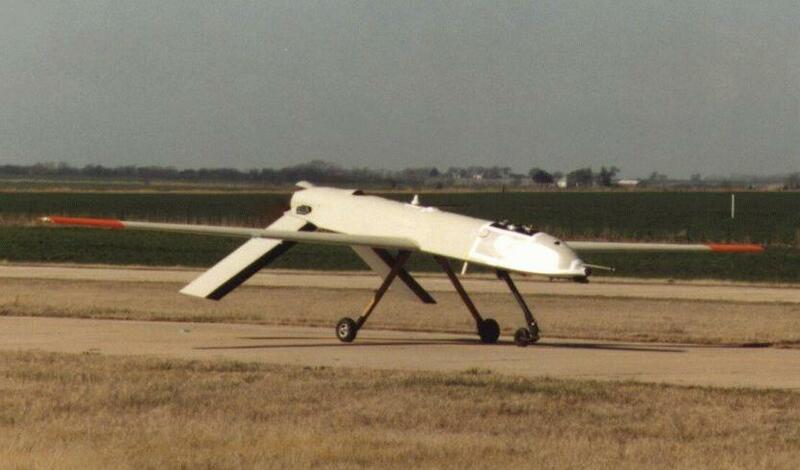 Of the unmanned aerial vehicle programs fielded to date, the Central Intelligence Agency appears to have provided more capability for less time and money. While the Department of Defense continues to run tests, the Central Intelligence Agency has fielded a working system that provides near-real-time information to the field Commander at what appears to be a very low cost. The GNAT-750 has numerous shortcomings, but it at least has been put to work in the operational environment where it can provide real-world data while its technicians continue to work out the bugs. As of mid-1994, the Central Intelligence Agency was considering buying more GNAT-750s and modify half of them to act as relay aircraft. This move would allow the 24-30 hour endurance capability to pay off. The CIA would also modify the newer GNAT-750s with the Rotax 912 engines which have more power, are quieter, and are more fuel efficient. In addition to the electro-optics currently on the GNAT-750, CIA wants to add a signals intelligence payload to the UAV. The new sensors would pick up both communications and electronic intelligence information. This would give the NATO and United Nations forces additional information from Bosnian radars and communications systems. One concern for the GNAT-750, as well as other unmanned aerial vehicles, is its vulnerability to inclement weather. For any UAV deployed to the field, measures need to be taken to protect the delicate internal electronics from dust and moisture, particularly in climates that are damp and contain sea spray. Protecting the personnel, avionics, and maintenance areas are important factors that should be considered when planning deployed operations. Portable maintenance hangars are particularly important for maintaining clean and dry work spaces for the UAV technicians. The I-GNAT system is an improved version that offers the combination of long endurance, large payload capacity, ease of use and low maintenance while providing a very low cost per flight hour. Originally designed to perform tactical surveillance at altitudes up to 25,000 ft., the I-GNAT has been reconfigured with a turbo-charged engine to increase its operating altitude to 30,500 ft with an endurance of up to 48 hours. I-GNAT's turbo-charged variants are in production and have been delivered to both US and overseas customers.